Isle of Man - I Say Ding Dong Shop - Buy Stickers, Decals & Unique Automobilia. Isle of Man & Crossed Chequered Flag Sticker. 2", 3" or 4". Isle of Man and Castrol Shield Stickers. 2" Pair. Isle of Man Circular Stickers. Set of 4. Isle of Man Manx Trie Cassyn Flag Fade To Black Oval Stickers. 3" Pair. 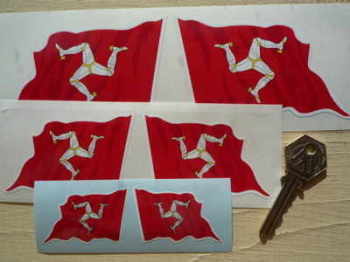 Isle of Man Oblong Flag Stickers. Set of 4. 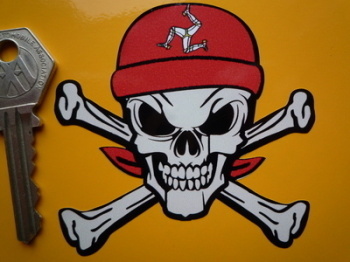 Isle Of Man Triskelion (3 Legs) Style Sticker. 3"
Isle of Man Volkswagen Campervan Travel Sticker. 3.5". Isle of Man Wavy Flag Stickers. 2", 3", 4", 5", or 10" Pair. Isle Of Man Yellow Shield Style Stickers. 2.75".